If you are looking for a great view with the area's best unrestricted Gulf Access, you just found it. You won't find a cleaner Boardwalk Caper unit. This condo is a top corner unit very light and bright, with over $20000 in recent kitchen upgrades... all new stainless appliances, granite counters, plus newer AC, new electric Rollsafe hurricane shutters, and under building parking. 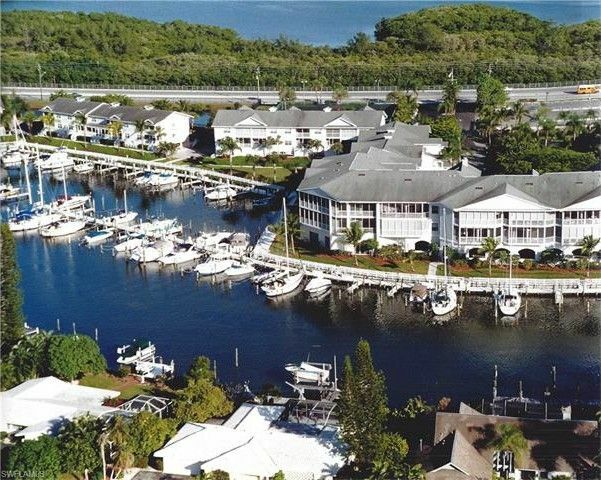 From your living room, you'll be watching the beautiful SW Florida sunsets, and you'll see plenty of dolphins playing in this deep and wide canal, and all the Florida wildlife, birds, manatee, and the lanai overlooks all the activity on the double lighted boardwalk, the marina, and your own boat slip (B-08). This is new on the market and available for quick closing. Call for your private showing today. Directions: From Summerlin, take San Carlos Blvd toward Fort Myers Beach...just before Pincher's restaurant on the right is the entrance to Boardwalk Caper...enter gate code, go through gate, turn right and it is 2 building on left.